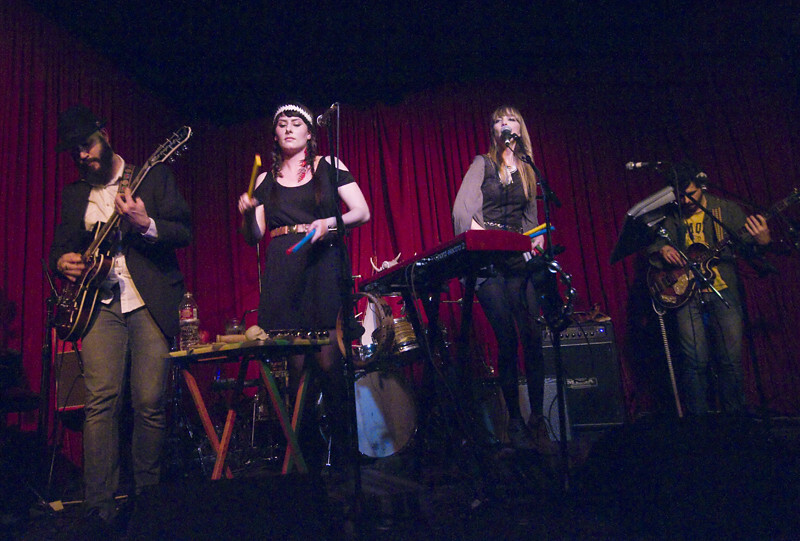 The Mynabirds performs at The Hotel Cafe earlier this month. 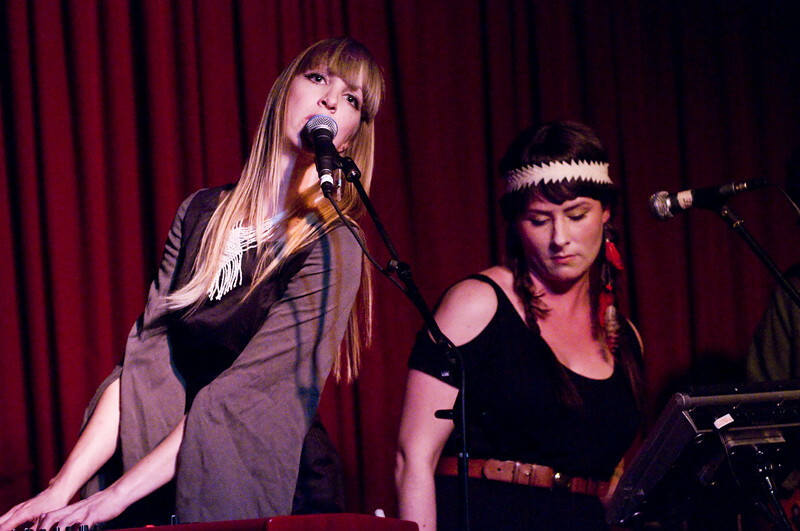 Earlier this month at The Hotel Cafe, The Mynabirds flew into town. (haha...see what I did there!) Fronted by singer-songwriter Laura Burhenn, Mynabirds is a little bit rock, a little bit country and a whole lot of soul. She describes The Mynabirds' sound as if Neil Young was doing Motown which coincidentally he fronted a band in the 60s named Myna Birds with Rick James. At first glance, Laura is petite and reserved, actually standing on a two-foot platform on stage during her performance. 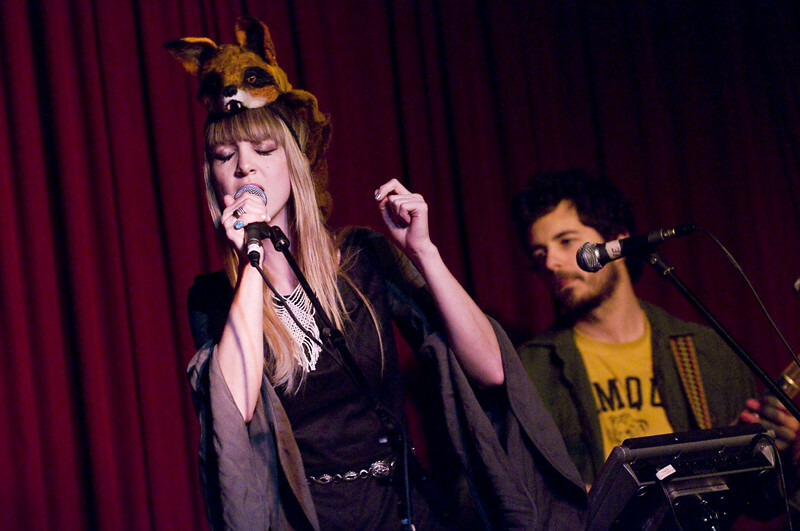 But when she sings, her powerful yet soulful voice commands every bit of Hotel Cafe's small stage. Her songs are a simmering collection of sultry melodies and hypnotic beats. Laura also performed songs off their upcoming album which have more of an upbeat flavor. Listen to their first single "Generals" and you'll definitely want to dance. They've just announced a release date for their second album GENERALS which drops June 5th from Saddle Creek and have recently completed their midwest/west coast tour which ended with a successful showing at last weeks SXSW. Their first single "Generals" off their upcoming album of the same name is available for FREE at their website for a limited time. Just click right HERE. If you missed them this time around, look for them to tour again later this year and they hint that they may tour Europe also. "What We Gained in the Fire" by The Mynabirds off their debut album.